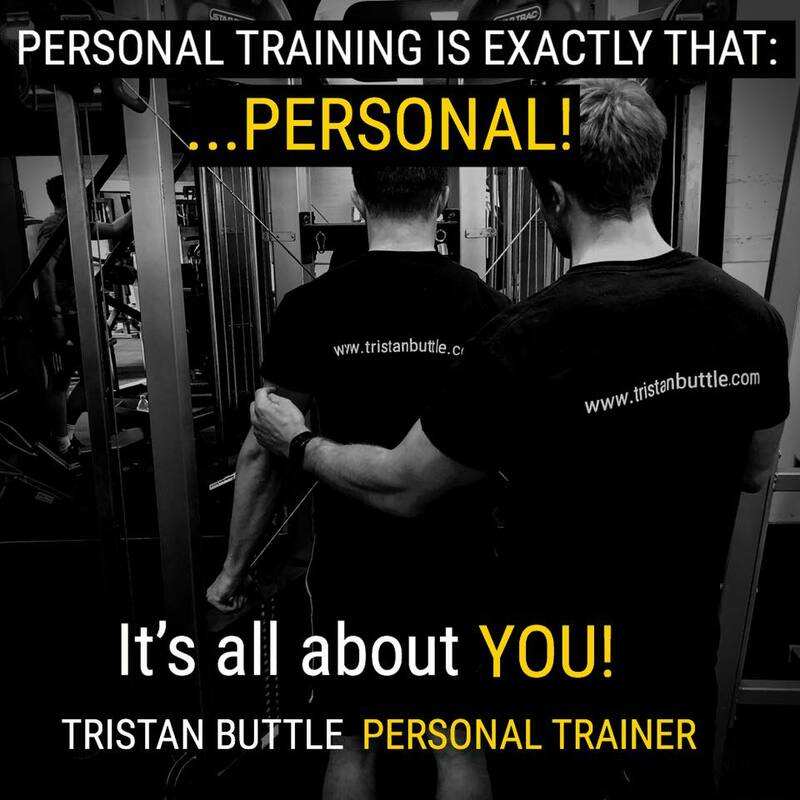 Personal Training & Services that are specific to YOU - Tristan Buttle. You are an individual and unique, and the approach I take to achieving your goals is bespoke to YOU. You won’t find a generic, ‘one size fits all‘ approach from me, simply because what works for one person, may not work for YOU. You can train with me at Metro Gym without paying a single penny for membership! The only cost to you is my fee. To read & learn more about Metro Gym click here. Cost: £25 per session or 5 sessions for £110 based on a upfront payment. 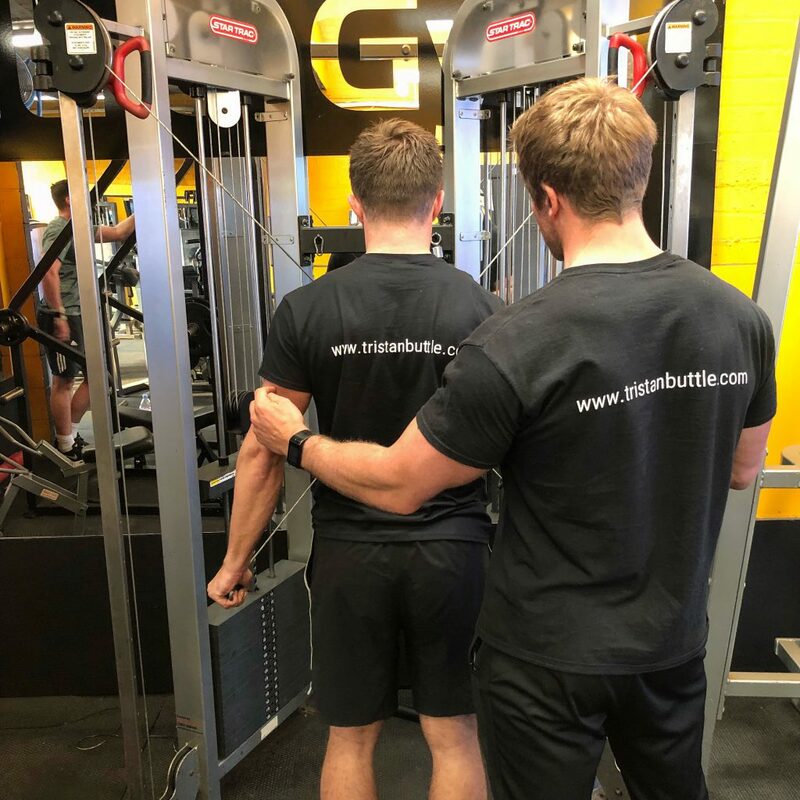 If you have a friend with a like minded goal and you want to share the gym experience (and the cost..) you can train with a friend. Note – this may also work if you have friend you want to see suffer -only joking! You may not desire personal training, but you are still looking for structured approach to achieving your goals? You want to know you are doing the right things to get results you want without wasting your time, am I right? All too often simply going to the gym and ‘doing your own thing’ doesn’t work. I can provide you a with a tailored program that is not only specific to your goals but also the gym that you train at. This can be done either in person or via email, depending on your experience & requirements. Cost: £20 -£25, depending on requirements/structure. The world of health & fitness can often leave you feeling confused and frustrated! I blame the media, as all too often its full of LOTS of conflicting information. In my experience, a friendly chat to discuss your goals, your approach to what you eat, and your lifestyle can help get you on the right path to making true progress whilst avoiding confusion. We can meet and discuss the best way for you to make realistic and sustainable changes to your lifestyle. This can be done at a mutually suitable relaxed location (very often the nearest Costa –mines an Americano!). I would recommend allowing an hour for this chat. Do you lack motivation and structure? Has the world of nutrition got you confused? Have previous diets left you feeling fed up and miserable?! Are you going on holiday or working towards just simply wanting to look and feel better? ✅A structured 8 week gym plan tailored to the gym YOU train at, based on how often you train. 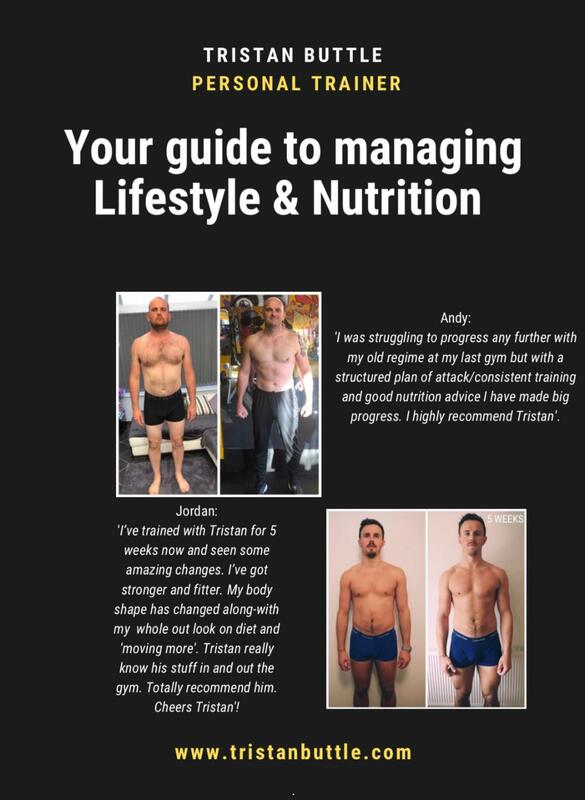 ✅A full 45 page 8 week guide to managing your nutrition & lifestyle. This includes: establishing what calories/macros YOU need, & how to set YOUR targets, and a guide to using Myfitnesspal. ✅Your guide will also teach you how you CAN include foods that you enjoy & still achieve results! It’s not a set boring meal plan! ✅Weekly targets for you to complete outside of the gym will also keep you focused! ✅Weekly check ins with myself will help keep you accountable, motivated & on the right path to achieving your goals. ✅You’ll also have access to a private WhatsApp/Facebook groups where you can share tips with others & ask questions! Cost: £75 (via bank transfer). If you’d like to discuss any of my services or you have any questions please don’t hesitate to contact me, you can do so by clicking here. Please note that prior to performing any physical exercise/receiving any form of exercise prescription from myself, all clients are required to complete a PAR Q/disclaimer & Feedback Form. All forms are completed online.